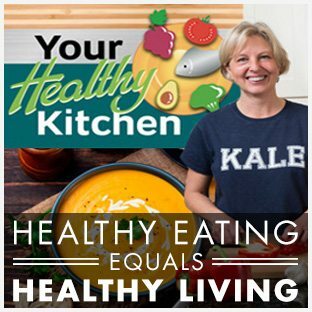 Rita Carey Rubin, MS, RD, CDE, host of YRMC’s Your Healthy Kitchen recently joined Sandy Moss on the set of AZTV’s Sandy and Friends to share some creative ways to enjoy the flavor, beauty and nutrition of fresh summer herbs. In this segment she makes a delicious, quick sauce from parsley, oregano, garlic, lemon, olive oil, and mint that is a perfect topping for grilled or baked vegetables, chicken, fish or meat. She also blends herbs and dried chilies into butter for a spread that turns summer corn into something even more divine! For a refreshing finish, Sandy and Rita enjoy a cool glass of water that’s been steeped with a variety of fresh herbs and fruit! Watch Creative Ways to Use Summer Herbs on YouTube. Fresh herbs are easy to grow in a garden or pot, and they thrive well from summer through fall in our high desert environment. Try your hand at raising a crop of easy to grow chives, oregano, mint, parsley, tarragon, rosemary or, that queen of summer, basil! 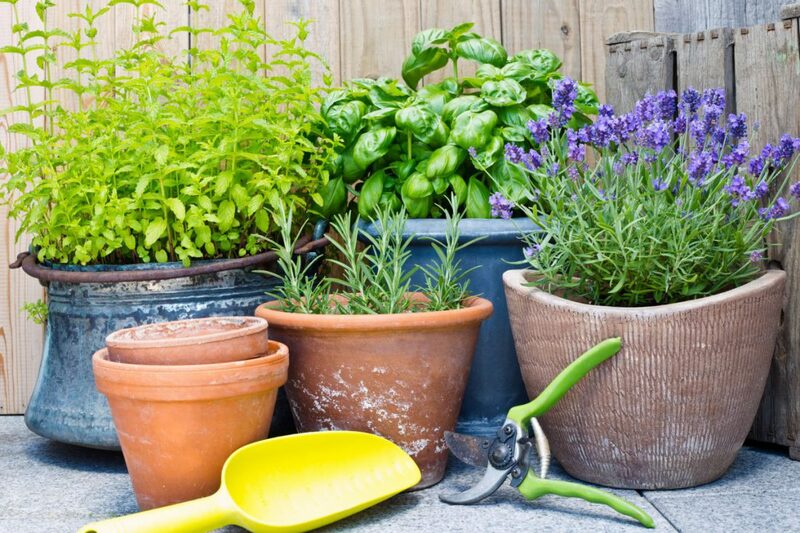 If you have a sunny window in your home, you can grow many of these herbs indoors, year round. There are also a variety of herbs available in the produce section of most supermarkets and at the Prescott Farmers Market! It’s easy to incorporate herbs into every meal. Some herbs go really well with fruit, so try tossing thinly sliced basil or mint with berries for a beautiful and delicious way to start your day. You might also whip up some scrambled eggs and flavor them with a minced handful of chives (which taste a bit like mild onions). Throw big handfuls of parsley, basil, tarragon, chives, or even mint into a salad at lunch. These herbs also go well with beans, pasta or potatoes. I read this article and found it very interesting, thought it might be something for you. The article is called Creative and Delicious Ways to Power up Your Plate with Summer Herbs! and is located at https://yrmchealthconnect.org/creative-and-delicious-ways-to-power-up-your-plate-with-summer-herbs/.